We rent 4G wireless data equipment provisioned with UNLIMITED 4G LTE, 4G LTE-A (Cat6, Cat9, Cat16) and 3G Wireless Internet Data Services through either the AT&T or Verizon Wireless Nationwide Networks - No need to worry about the amount of Data you are using! So long as you are receiving 4G-LTE signal, 4G speeds will be maintained relative to your received signal strength and the overall utilization of the wireless carrier's network by all other users in the area. Our rates include Free Personal Delivery to YOU and Pickup from YOU between 7:00 AM and 10:00 P.M. within the Waikiki and Honolulu city areas (968xx Zip-Code) between Hawaii Kai, throughout Waikiki and up through the Airport/Halawa area, however, due to heightened security measures we are no longer allowed to perform deliveries at the Honolulu International Airport (HNL) terminal itself. 7:00 am and 10:00 pm daily. WE ARE A "MOBILE SERVICE", There is no pickup or drop off location. Delivery and Returns, to and from locations outside of the Greater Honolulu area, are typically done via USPS (United States Postal Service) Priority Mail to/from your location at a cost of $10.00 each way. Not sure about your location? Contact us to confirm your delivery location and any potential charges. 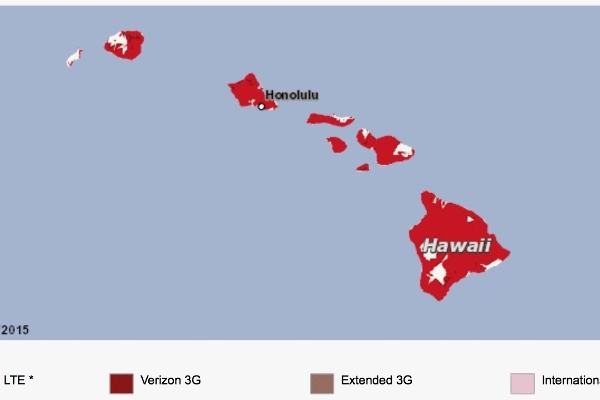 WE ALSO RENT FOR UNLIMITED DATA USAGE ON THE OUTER ISLANDS and the CONTINENTAL U.S.! Contact us about rentals on Kauai, Maui, Lanai, Molokai, the Big Island of Hawaii and the Continental U.S.: We are based on the island of Oahu in Hawaii, however, with at least 2-4 days notice we can arrange for the equipment to be mailed to your hotel including a USPS PRIORITY pre-paid return mailer for an extra $20 fee/unit to cover the postage both ways. Our bandwidth speeds are typically FASTER, the Data is UNLIMITED and our connections are SECURE as compared to the public Wi-Fi internet services provided at most hotels. • Why have internet access that only works at your hotel or at a convention center? Our Portable Pocket Wi-Fi HotSpot units travel with you throughout the Hawaiian Islands and the Continental U.S..
• Don't spend your precious time in Hawaii looking for insecure Wi-Fi hot spots! SECURELY connect to the internet using our password protected 4G LTE-A Wi-Fi devices instead of using an insecure Hotel, Coffee Shop or Public Wi-Fi network where your data may be compromised. You can also email us the street address and we will send you a confirmation of wireless data coverage for your location. Our Portable Pocket Wi-Fi HotSpots (MiFi® & AirCard) support 3G/4G-LTE, use a built-in 10-20 Hour rechargeable battery and can typically accommodate 10 to 15 wireless connections. Our MiFi Rental Outfits include a convenient carry case, a Car Charger, a 110VAC wall outlet to USB charger and a USB charging cable. "More information & rates" can be found below. Our Indoor Routers (with or without Wi-Fi) have an integrated 3G/4G LTE modem. Units are capable of connecting through the newest LTE-A protocols when available in the area. FYI - this device must be plugged into a 110VAC outlet. "More information & rates" can be found below. For larger events, depending on its location, we can provide a High-Bandwidth Fixed Wireless Broadband internet connection at your event and setup a large scale Wi-Fi network using Xirrus High-Capacity Wi-Fi Access Points. Please contact us at 808-447-9741 x101 or rentals@techinthecity.com should you have any questions. Simply select the type of equipment you wish to rent by clicking on the appropriate "Book" button below. Then Select your Start & End dates. Click "Continue" to see your free price quote on the following page. If you agree with all the terms stated on the pages you've seen so far, and those within the "Terms & Conditions", click "Continue" to fill out YOUR HOME and/or YOUR BUSINESS CONTACT INFORMATION on the next page. PLEASE FILL OUT THE "COMMENTS" AREA WITH YOUR REQUESTED DELIVERY TIME AND LOCATION where YOU wish to meet to take delivery of the equipment and complete our "Security Deposit Waiver Form". Unless you are leaving a cash deposit for the equipment, a credit card is required and will be recorded as a security deposit on the Security Deposit Waiver Form. HOW FAST IS THE 4G CONNECTION? Measured Bandwidth for a 4G-LTE network has typically been 3-12 Mbps. LTE-A is up to 30 Mbps with bursts up past 50 Mbps when in a good and un-congested 4G LTE-A coverage area. WHAT OTHER TYPES OF WIRELESS EQUIPMENT DO YOU RENT? • Indoor Routers with an integrated 4G LTE modem, an Ethernet cable connection with/without Built-in Wi-Fi. 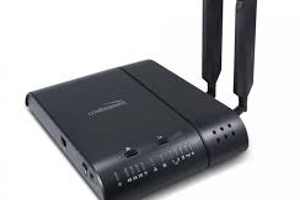 • Indoor Wi-Fi Routers to be used with your Ethernet Internet Connection. 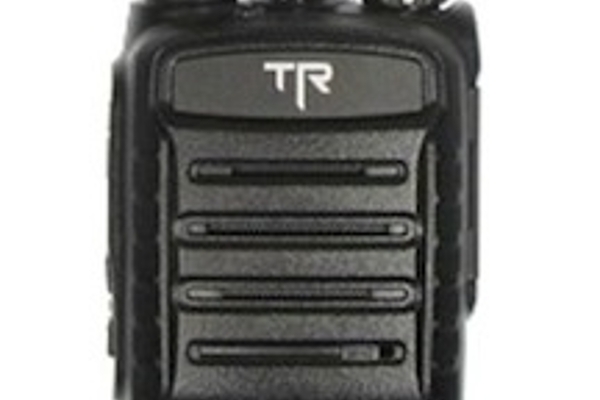 • High-Gain Fixed Wireless Outdoor Transceiver Units provisioned with an AT&T, T-Mobile or Verizon 4G-XLTE/LTE-A or 3G connection with or without built-in Wi-Fi. • Point-to-Point Fixed Wireless transceiver offering up to 1000Mbps of synchronous bandwidth - - Actual Bandwidth acquired will depend on location. • High-Capacity Wireless Wi-Fi Access Points by Xirrus for large gatherings. After you complete your online booking of the reservation, you will be forwarded to a secure PayPal card processing service where your Visa, MasterCard, Discover and American Express cards are accepted online and processed as a GUEST through the PayPal card processing service (you may also use your own PayPal account if you have one). YOU ARE NOT REQUIRED TO HAVE A PayPal account, nor are you required to open a PayPal account, to use your credit card to pay as a GUEST via the PayPal card processing service. Payment with your Credit Card or cash can also be processed in person at the time of delivery, HOWEVER, Please select CASH as your form of payment AND request to make payment at the time of delivery in the COMMENTS field. Otherwise the reservation will not be confirmed without payment in full. 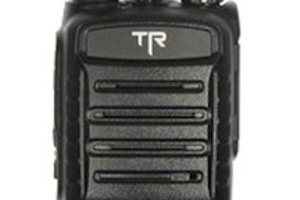 Our 4-Watt, 16-Channel, 2-Way UHF radios are Commercial Grade radios that weigh only 9.9 oz..
Our 4-Watt radios have an outdoor range of up to 2.5 Miles. Daily, Weekly and Monthly rates including Unlimited Data. 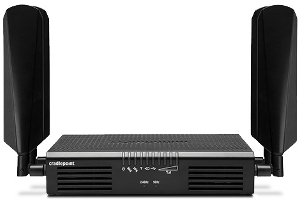 We rent Cradlepoint IBR650, CBA750B & CBA850 routers. These are Enterprise Grade Ethernet Port Routers that feature an integrated LPE Series Multi-Band 4G LTE, XLTE & 3G Wireless Modem. 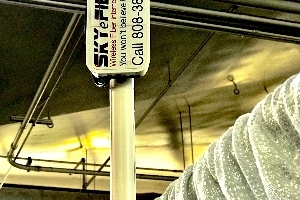 SKY eFIBER mmWave low latency, high bandwidth transceiver provides you with an Ethernet connection to our Fiber network in the Blaisdell Exhibition Hall. A Trans-Portable Multi-Band 4G-LTE/3G Indoor Modem that has been integrated with an Enterprise Grade 2. 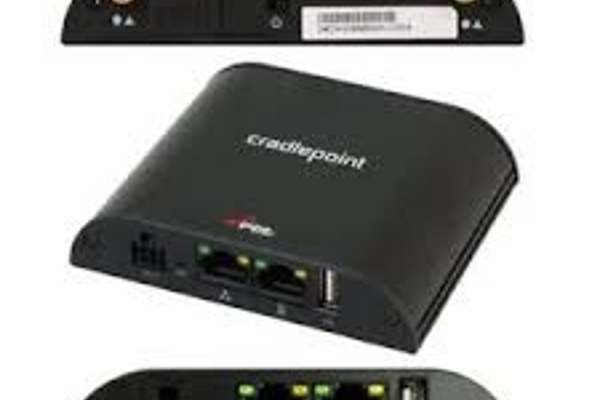 We rent the Cradlepoint AER2100LPE or Cradlepoint AER1600LPE router provisioned with an integrated Multi-Band 4G LTE & 3G Wireless Modem. The AER2100 router is an Enterprise Grade Dual-Band, Dual-Concurrent 2. We have several options to accommodate a Secure encrypted connection to the internet through our 4G LTE-A/4G-LTE/3G and encrypted Fixed Wireless Broadband equipment. The Indoor Wi-Fi Router with integrated Multi-Band LTE modem is a 4G LTE/XLTE/3G device that allows you to connect your computer/devices via an Ethernet cable or via Wi-Fi to the internet from anywhere within the Wireless Carrier's coverage area. Simply plug the supplied power adapter into a 110VAC wall outlet and plugin an Ethernet cable between our device and your PC or MAC computer (or any other device that can be connected to the internet via an Ethernet cable - your computer or device must have an RJ45 type of Ethernet connection). You may also use the built-in Wi-Fi connection for up to 64 concurrently connected wireless devices. Your Wi-Fi connection will be password protected and securely encrypted via a WPA2 security protocol. You can also turn off the Wi-Fi connection if needed. The Indoor Single Ethernet Port Router with integrated Multi-Band LTE modem is a 4G LTE device that allows you to connect your computer/devices to the internet via an Ethernet cable from anywhere within the Verizon Wireless coverage area. Simply plug the supplied power adapter into a 110VAC wall outlet and plug the supplied Ethernet cable into your PC or MAC computer (or any other device that can be connected to the internet via an Ethernet cable - your computer or device must have an RJ45 type of Ethernet connection). You should use this device if you are using the Ethernet connection of the modem for a credit card terminal in order to maintain API Compliance. You should not add a Wi-Fi device to this connection if you wish to truly maintain API Compliance. 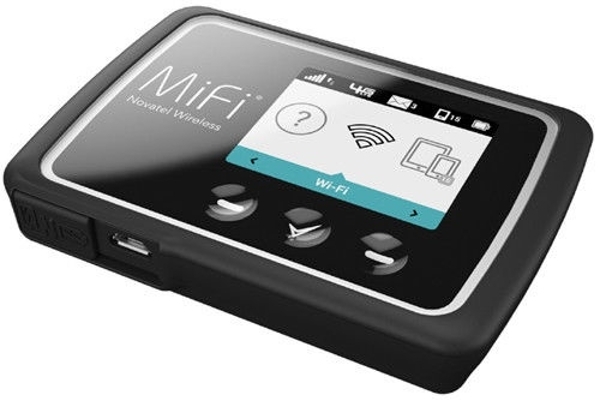 The "Portable 4G LTE Pocket Wi-Fi HotSpot" (aka AirCard/MiFi/Jetpack) devices are mobile, battery powered modems (10 to 15 hours per full charge) with a built in Personal Wi-Fi Hot Spot unit that will allow you to connect 10-15 Wi-Fi wireless enabled devices to the internet from anywhere within the Wireless 4G LTE coverage area. The unit is supplied with an A/C USB charger, car USB power adapter and a USB cable. 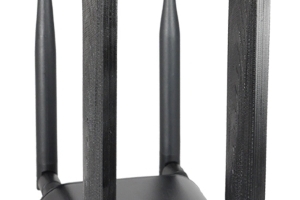 Your Wi-Fi connection will be password protected and securely encrypted via WPA/WPA2 protocol. For your events (outdoor or indoor) that require a strong Wireless Broadband connection to the internet with the greatest amount of bandwidth possible we offer solutions that feature High-Bandwidth 5GHz, 60GHz or 4G LTE-A Outdoor rated Fixed Wireless Transceiver unit(s). These units can also be used outdoors and connected so as to enhance your indoor Wi-Fi network when your event is being held within buildings and weak coverage areas. Due to the required configuration of the High-Gain antenna used with this unit our delivery, installation, tear down and pickup of our High-Gain 4G LTE Transceiver with the included 25' PoE cable at your location is included in the $250.00 single day price (plus expenses like parking), extra days are $50.00 per day. These units are provisioned with Unlimited Data plans. This unit requires a 120VAC power source located within reach of the PoE cable. The PoE cable can be a maximum of a 300 foot Ethernet cable installation (extra labor and rental charges will apply for PoE cable runs of more than 25'). The daily rate for this unit also includes the use of a 120VAC to 12VDC 2A Power Supply, a Power Over Ethernet injector, 25 feet of CAT6 Ethernet cable and a 6 foot stand. Please call 808-447-9741 x101 and ask for "Jim" to plan your event. Need more bandwidth or Wi-Fi connections? We also offer custom equipment configurations were we provision a Load-Balancing Wi-Fi router with 2 to 5 separate 4G LTE or Fixed Wireless internet connections thereby providing you with up to 100+Mbps of total bandwidth for up to 256 or more simultaneous Wi-Fi connections. Please contact "Jim" at 808-447-9741 x101 to plan your event and receive a quote for this level of service. We are a Mobile Service. 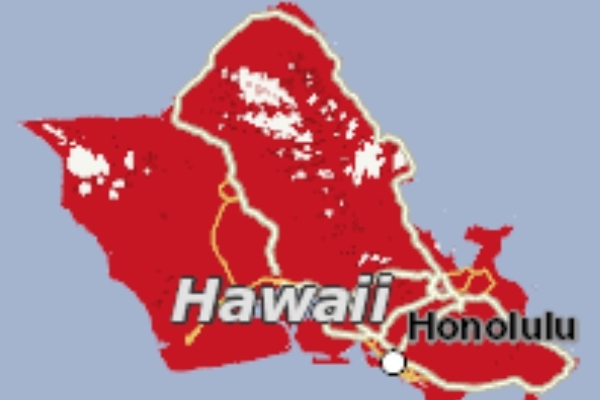 Delivery to YOU and pick up from YOU within our Greater Honolulu 968xx zip-code area (Hawaii Kai, through Waikiki and the Halawa area) is included in the price. For more detailed information please click on the "Contact Tech In The City" link above and send us your questions. We are a mobile service and as such there is No Pick Up location. The Equipment will typically be delivered to YOU and picked up from YOU at your Waikiki hotel or other Honolulu location at no extra charge (see next paragraph for details). We can usually accommodate pickup and drop off times between 7:00 am and 10:00pm 7-Days a week including holidays. After hours or Early Morning delivery/pickup times can usually be accommodated within the Waikiki area - Call our mobile number (808-384-0292) to arrange for these times. We offer free delivery and pick up of our rental equipment throughout the greater Honolulu area - 968xx Zip-Code area from Hawaii Kai through Waikiki and up to, but not including, the Honolulu International Airport area - Due to Heightened Security measures, and the State of Hawaii vendor restrictions that are enforced at the Honolulu International Airport, we are no longer able to deliver or pick up equipment at the Honolulu International Airport. When we meet with you at the point of delivery we will go over the operation of the equipment and fill out the required Security Deposit Waiver Form (see below for more information on the Security Deposit Waiver Form). If this form is not filled out in its entirety, the equipment can not be released. If you wish to have the equipment delivered to a location (without you present), or if you wish to have the equipment mailed/shipped to meet you at your destination or be left at the Front Desk of the hotel you are registered at, This form must be completed prior to your rental. Please state this in the Comments Field and we will email you the form to be filled out and sent back to us. There is No Pick Up Location. We are a Mobile Service. As a Mobile Service we do not operate out of a traditional office location so there is no pick up location.. However, we have a relationship with Gadget Guyz at 705 Queen St.. They will allow you to drop off the equipment at their location at the completion of your rental. There is no inventory of modems held at the Gadget Guyz location, hence, no pickups can be accommodated. If you just show up at the Gadget Guyz location to pick up equipment that you have reserved, IT WILL NOT BE THERE. Since we are a Mobile Service, you must make prior arrangements to meet us at any Honolulu location and/or return the equipment to the "Gadget Guyz" office located at 705 Queen Street, Honolulu. The office is normally open from 9:00 AM through 5:00 PM Monday, Tuesday, Wednesday and Friday. 11:00 AM - 3:00 PM on Saturdays. They are closed on Thursday and Sunday. After the reservation request has been processed and reviewed, a confirming email for the entire rental period (including the Delivery and Return service) will be sent to your email address. In order to confirm your reservation, and delivery services, ALL PAYMENTS MUST BE MADE IN ADVANCE through the online PayPal payment option using a Visa, MasterCard, American Express or Discover Card. If no payment is received with the reservation, IT WILL NOT BE CONFIRMED. However, payment can also be arranged to be made (with prior approval) at the point of delivery of the rental equipment. If you wish to request payment to be made at the point of delivery, Select the Cash or Check Option as your form of payment AND state in the Comments field that you are requesting to make payment at the point of delivery. We can also email you an online invoice with payment instructions for you to pay online if you are having a problem with the PayPal system or you prefer to not use the PayPal credit Card processing system. - - We have chosen to use the PayPal card processing system as they can process cards internationally and provide our clients with a secure online transaction. Once your form of payment has been verified you will receive an email confirming your reservation payment. For the "Delivery Service" and/or "Pickup/Return Service" we will contact you via email to confirm the time and location details of the arrangement. If any of the components of the various equipment packages are returned damaged, incomplete or not returned at the end of your rental period you will be charged an additional equipment replacement fee of $405.00USD to $2,000.00USD depending on which equipment package you rented. This fee will be secured by recording the credit card of your choosing on our Security Deposit Waiver Form (By filling out our Security Deposit Waiver Form with your your card information it WILL NOT be charged or approved for any amount in advance. It will only be charged if the equipment is returned damaged or not returned at all.). You may also choose to use a credit card to pay for the security deposit amount and have it refunded after all equipment has been returned undamaged. Or, you may wish to leave a cash deposit. If the equipment package/outfit is returned with damaged or missing components you will be charged for these components. The replacement cost schedule for these individual components is listed on the Security Deposit Waiver Form. Should you need to extend your rental please contact us immediately in order to avoid being charged the replacement fee in addition to the rental fees. 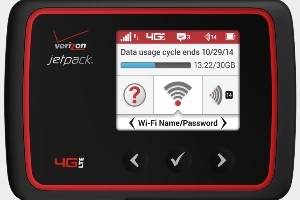 The 4G LTE Mobile Personal Pocket Wi-Fi Hot Spot package includes a portable AirCard (aka MiFi/Jetpack) unit provisioned with a DATA ONLY SIM card that has been assigned to the unit, a rechargeable battery within the unit, a USB charging cable, a USB AC powered wall outlet charger, a Car USB charger and a carry case. The equipment replacement fee for this package is $405.00USD. The 4G LTE Ethernet Port Router with integrated Multi-Band LTE Modem outfit includes a Cradlepoint IBR650LPE or CBA750B-LPE Indoor Single Ethernet Port Router with integrated Multi-Band LTE Modem, an AC power supply and a carry case. The equipment replacement fee for this package is $880.00USD. The 4G LTE Fixed Wireless Modem with Built-in Wi-Fi package includes an Indoor Wi-Fi Router with integrated Multi-Band LTE Modem, an AC power supply and a carry case. The equipment replacement fee for this package is $930.00USD. The standard High-Gain Outdoor Fixed Wireless Transceiver package includes the High-Gain Transceiver, a six foot stand, 25 feet of CAT6 Ethernet cable, an AC power supply and a Power Over Ethernet injector. The equipment replacement fee for this package is $2,000.00USD.